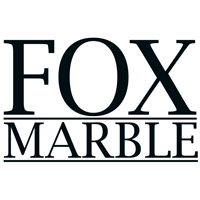 Fox Marble Holdings (LON:FOX) CEO Chris Gilbert talks to DirectorsTalk about its operational update. Chris discusses the significance of the sale figures, the impact of the factory operations on revenue and products available now that the factory is fully operational. Chris talks about the recent Chinese sale, what this will mean for the margins of the business and the impact it has on customers from different regions. Fox Marble Holdings Plc, is a marble production, processing and distribution company in Kosovo and the Balkans region.